As far as football bling goes, this probably ranks as one of the most exquisite forms of expression. 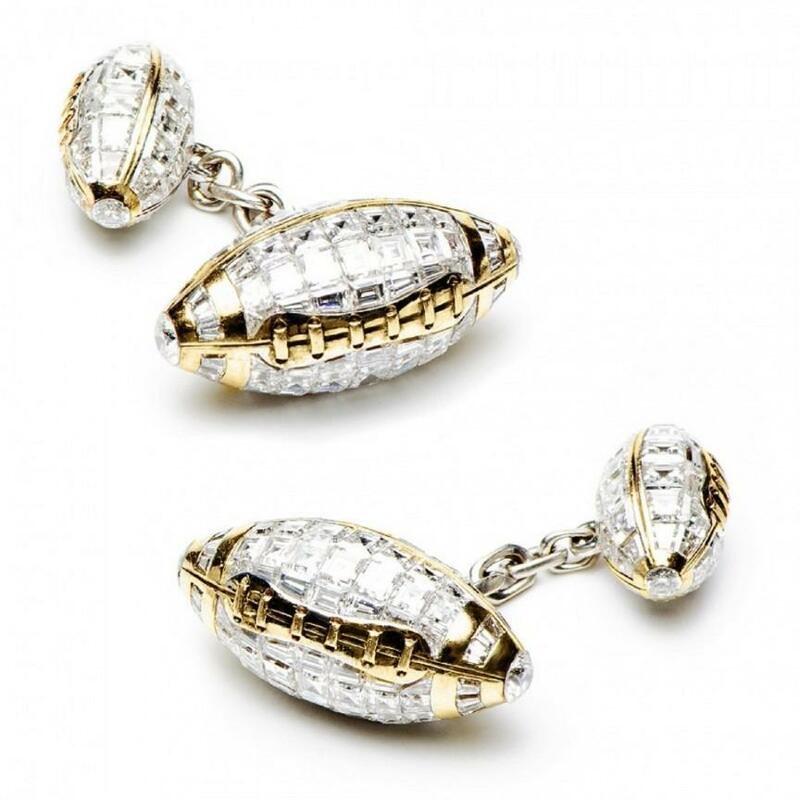 From players to coaches to officials, the football-shaped diamond arrangement, measuring a total of 15 carats, is augmented with an 18-carat yellow gold trimming that gives this cufflink relevancy despite its seeming flamboyance. In addition, the designer took into account the giant fingers of its target market with a double-sided chain back clasp for easy fastening. 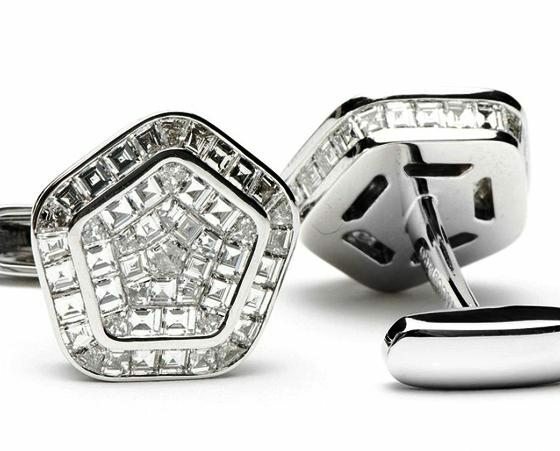 The understated design belies a stunning-level of craftsmanship as evidenced by the perfect symmetry of diamonds masterfully placed inside a dual pentagonal layer of 18-carat white gold. Using a combined total of 10 carats worth of diamond, the design also features an unobtrusive oval flip back fastener that maintains a modest appearance for the unassuming magnate.